Each data entry must match the validation wildcard '*.*.*.*'. Entries that do not match will be discarded. 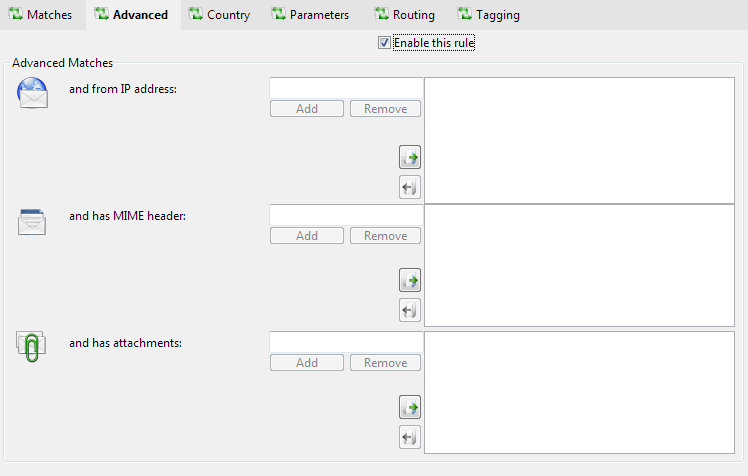 email with these header lines will be routed.